d a n i e l l e b u r k l e o : three! our girl is THREE months old already! time to get pregnant again! 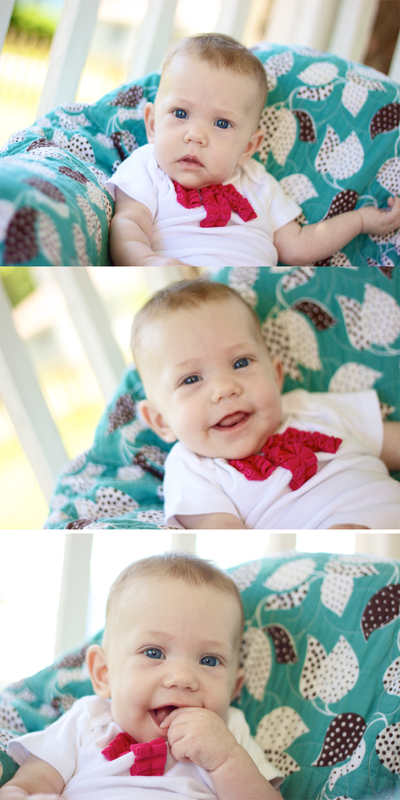 three months is such a good age. i mean, it's not as good as seven months but i'll take it over one month. what what. we have moved out of the screaming bloody murder stage and onto the sleeping through the night stage, which means i can resume being a somewhat normal mother again. somewhat. she holds her arm like this below picture all.the.time. she's like what, mom? i'm pretending to carry a tray and it's totally comfortable to bend my arm like this every day. i wanna be a waitress. can you handle the cuteness? me either. every day she changes. some days i think she looks like me, some days she looks like my husband, some days she is brody's mini me, and some days still, she is foster's mini me. i need to get my act together and scan some baby pictures of caleb and i, someone remind me of this next week. she smells sweet even when she stinks. which is really hard to do, so i give her a lot of credit for that. i love nuzzling my face into hers. i talk to her in this high pitch, really, really awful voice but she loves it. she loves it so much. she giggles and laughs and coos for me like she does for nobody else. mama is her very favorite and that is the straight up truth. and i should be, no? i am the only one who leaks milk out of my chest at my hair appointment while she doesn't want to take the bottle at home. i am the only one who gets an anxious, achy feeling in my heart when i am gone from her longer than an hour. she needs me. and truth be told, i need her too. "praise Him on high. Him up there in Heaven. uh huh. uh huh. amen." "wasn't me. it was him" said in a deep voice, naturally. for some reason i add "a" which is pronounced "uh" onto every nickname i give her. so when i am talking to her and nuzzling my face into hers, i say, uhpunkingirl, uhpunkinlove, uhlovalove, uhberrygirl. and so on and so forth. she loves it and always will, i'm sure of it. 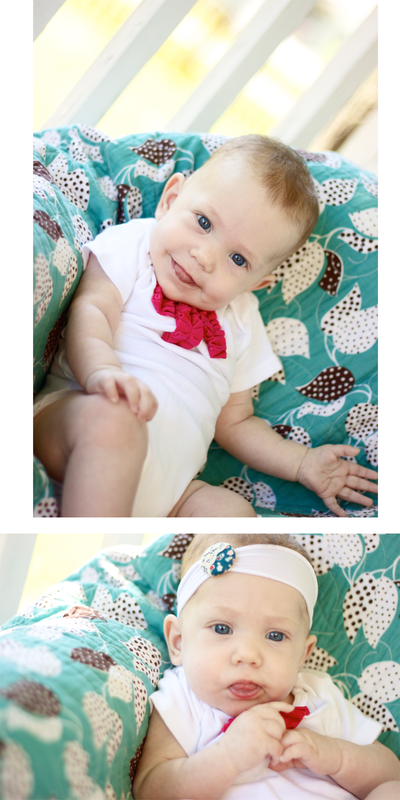 and for all of you who need a ruffle onesie like story's on your baby, which is all of you, get yours here. happy three months baby girl. can't wait to cuddle you in the morning. Story is so darn cute. I think she is 100% Foster's mini me. It's so adorable. You're such a great mom. It's kind of amazing how high and crazy our voices get when talking to babies, huh? girl i feel ya!! when brody was five months i was toats ready to get pregnant again..and was by the time he was 10 months. but now, our next baby will be through adoption. that is the plan! 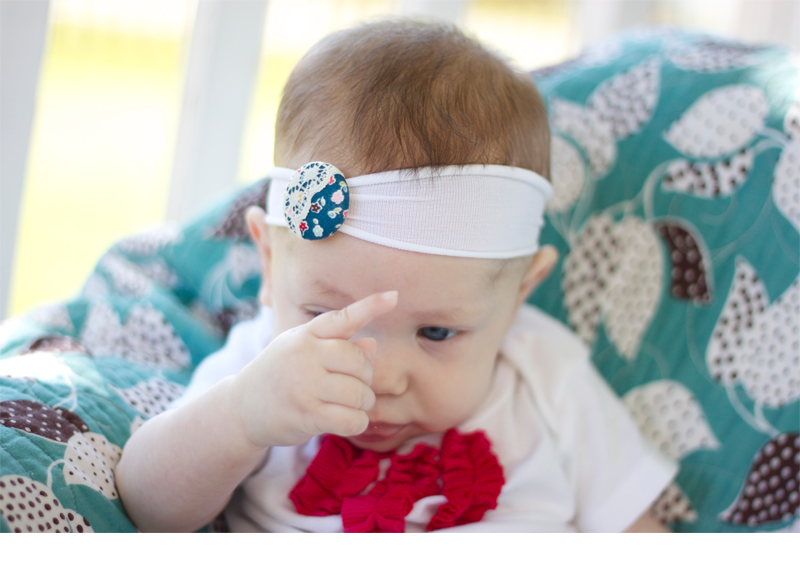 Oh my word..I totally relate with you about 7 months being better than 3 and that 3 is def better than one!! Newborn stage is rough not gunna lie. She is beautiful! it is so so good to be out of the newbie stage!! thank you so much! i am and so grateful! Great.... now I'm missing my almost 3 month old little guy!!! Know what you mean about leaking!!! AND not taking a bottle! My little man loves him some Mama too!! Ok...when I 1st looked at this post my phone froze on the words "pregnant again"...I totally freaked out! Hilarious! 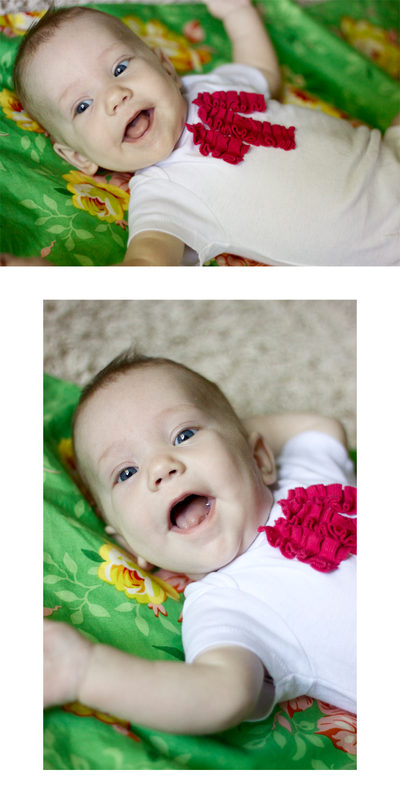 these pictures are beautiful...what a precious little girl you have there! oh my word. she is adorbs! 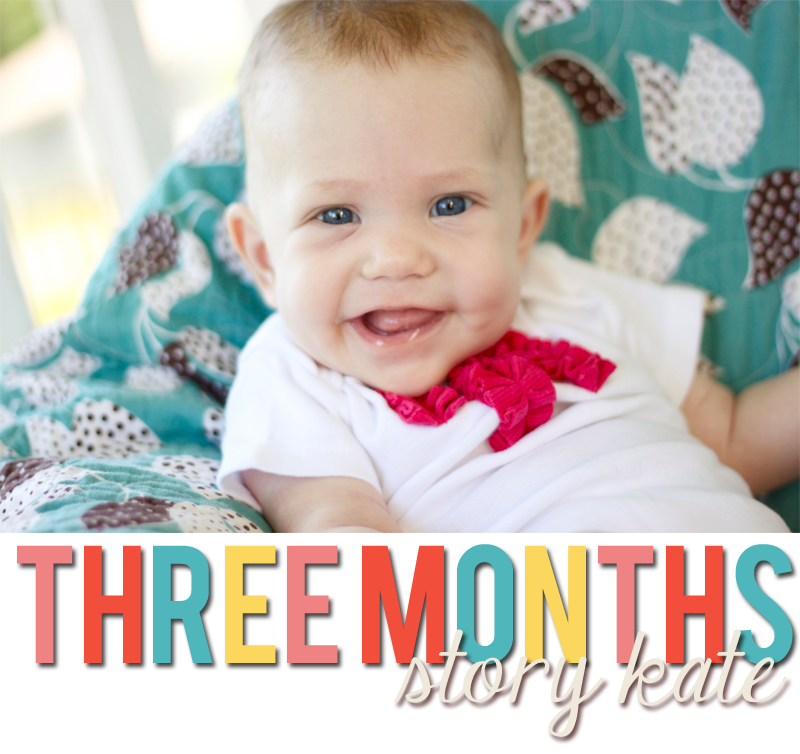 happy 3 months story!! Ok...when I 1st looked at this post my phone froze on the words "pregnant again"...I freaked out! Hilarious! I was lauging at your captions and smiling at the love. dannie girl she is so stinking cute. love it. i am smitten with this girl. precious, happy face! You are doing a great work,keep on going!God bless you and your family! oh my cuteness. oh my. :) shes so precious Danielle. and thats right...we need them like they need us. :) hope our girlies can meet someday!! i love this post so much. i must've been doing memorial day stuff when you posted it. you are a hoot and a half. i feel like story (my story) could also smell good even when she smelled bad. must be a girl thing.